Home / Racing / Should BMW Return To Formula 1? In the past, ex-BMW Motorsport boss, Mario Theissen, said that BMW is “not returning to Formula 1” now or in the near future . We believe that a future comeback to the exciting Formula 1 Racing would be beneficial for the road technology and here are some of our motives. For 2014, the Formula 1 Technical Regulations call for the use of a 1.6 liter turbocharged engine limited to 12,000 RPM. We believe that by 2014 over 50 percent of BMW cars sold will have turbocharged engines. The primary focus for Formula 1 is to demonstrate improved efficiencies and to allow a closer link to constructor’s production vehicles. While BMW is dedicated to the GT and DTM racing programs (with immense success), clearly the marketing value of success in the preeminent motor sports league should be the draw. New and existing engine constructors are gearing up for what could be a very competitive turbocharged season. VW and Honda have indicated interest in the new formula for F1 racing. Both future engine builders have the financial and the technological capability to meet the challenges of the 2014 season. Another company preparing to meet the upcoming technical regulations is Mercedes. Even though the F1 racing program is without a doubt the most expensive program in the motorsport world, BMW has the potential to lead in engine development and greatly benefit from the outcome by moving some of the technology to road legal vehicles. With its advancement in turbocharged technology, BMW has the capability to build not only exceptionally powerful units, but also highly efficient. Furthermore, there are other technologies that are in synergy with BMW’s long-term green philosophy. The turbocharged engine specification will come to improve fuel efficiency along with KERS (Kinetic Energy Recovery Systems). KERS could account for an additional 120KW up from the current 60KW allowable. This falls in line with BMW’s environmentally oriented programs for hybrids and electric vehicles. These improved energy recovery systems used for the 2014 F1 could find their way into BMW’s passenger cars. At a first glance there seem to be two ways for the company to get back into the F1 game. One, as an engine manufacturer, proving that their turbocharging technology is here to stay and provides more advanced capabilities than the competitors. Or second, as a fully independent team that could capitalize on the environmental orientation that Formula 1 is taking. One could stay that a wise decision would be to first begin as an engine maker and then in time move into a full constructor position. 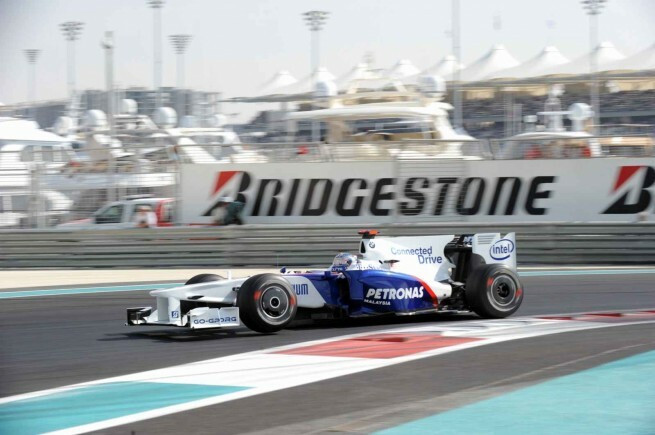 We believe that the approach with Sauber team was a failure partly because BMW took on so many responsibilities from the beginning rather than iterating and taking a more cautious approach. Have they learned the right lesson from the previous experience? Time will tell, and in the mean time, rumor has it that a certain constructor named from the UK is running in the red. Could there be a better time to make that decision? We are not holding our breath for now, especially after the newly announced commitment to DTM, but down the road, the F1 topic might end up on the table of the new BMW Motorsport boss, Jean Marquardt.